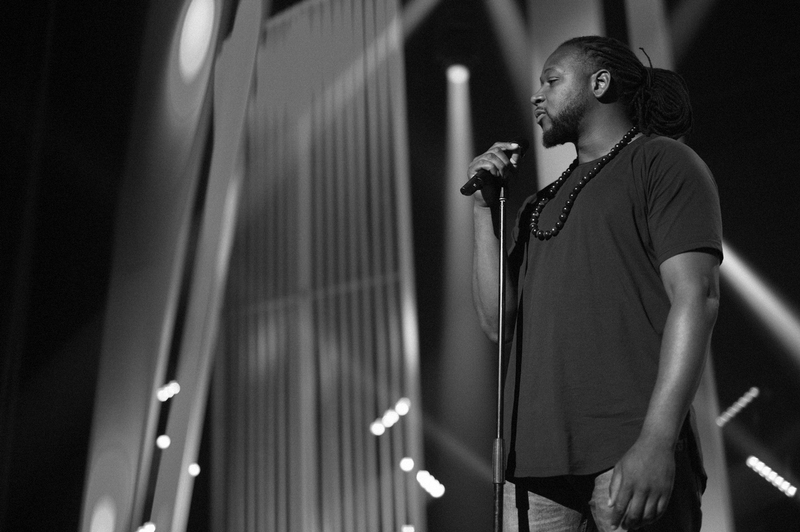 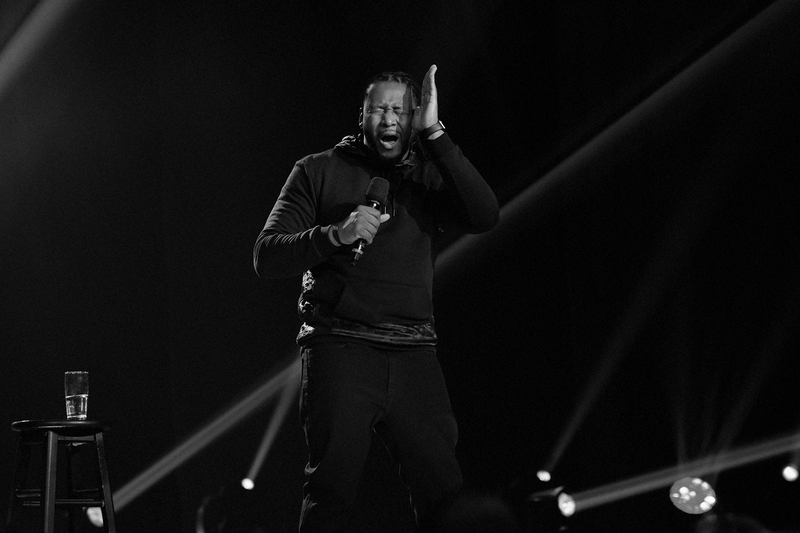 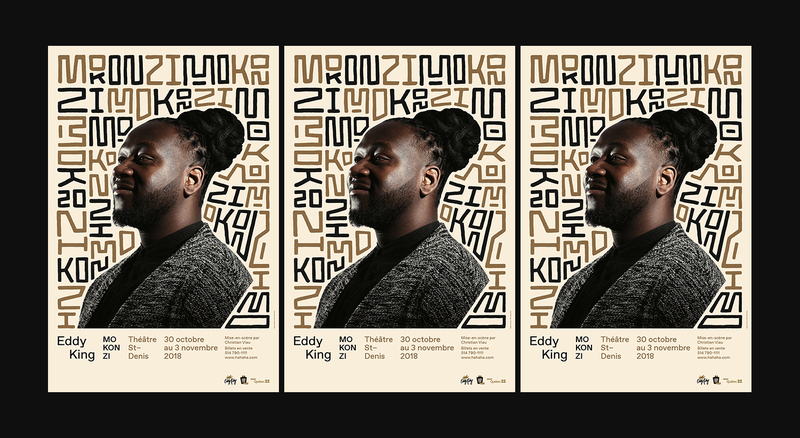 Eddy King is a Montreal-based stand-up comedian of Congolese descent. 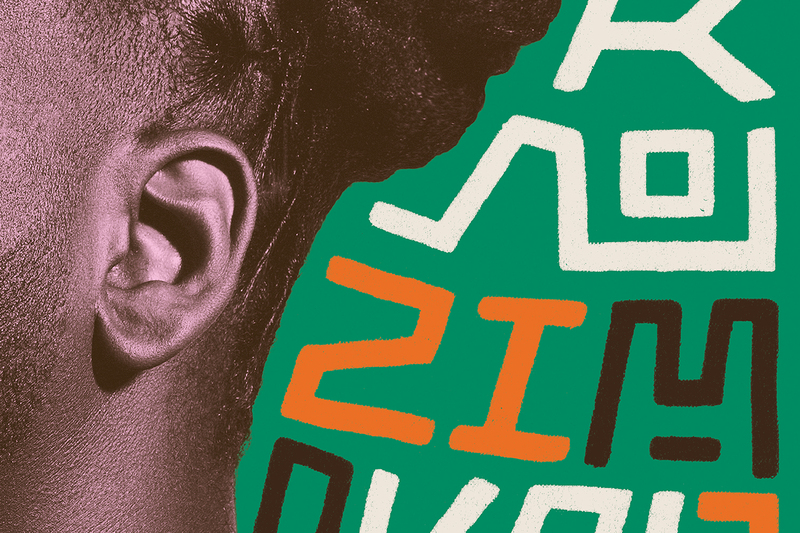 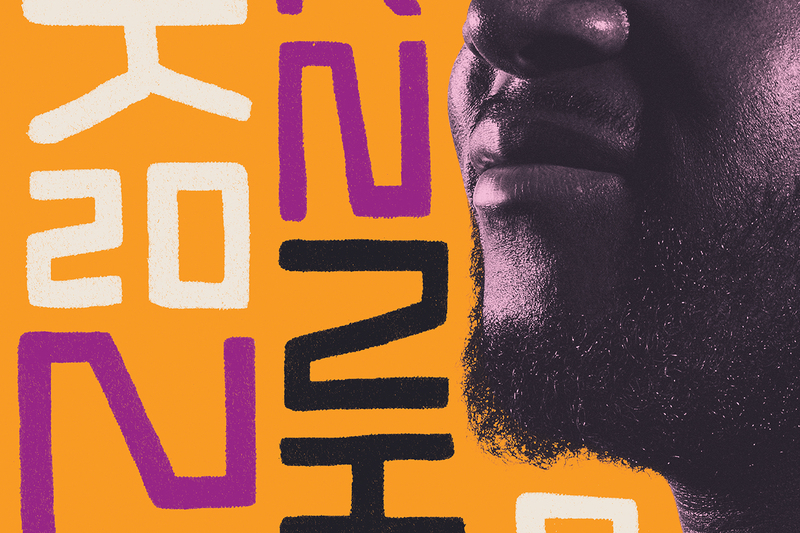 We were commissioned to develop the promotional poster for "Mokonzi", his latest one-man show, which means chief in Lingala, the language used in Congo. 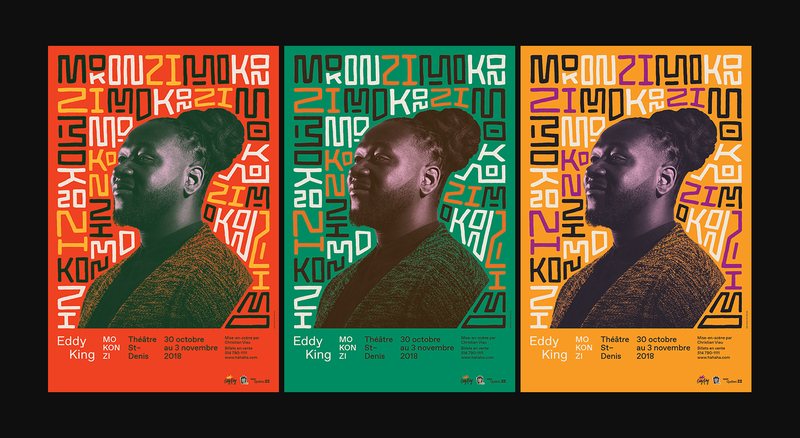 Eddy wanted a poster that would be vibrant and that would make his roots stand out. 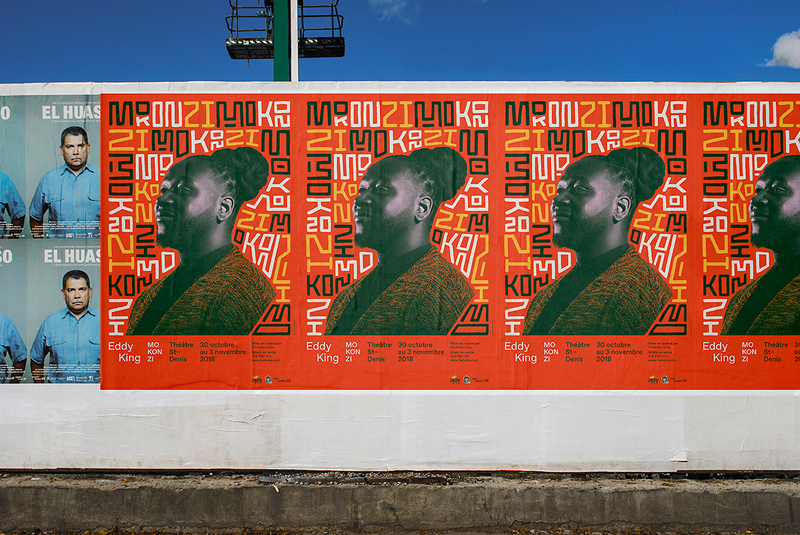 The main idea was to have him shot from an angle that would emphasize his stature and dominance – mainly inspired by the official/political portraits you would find on coins. 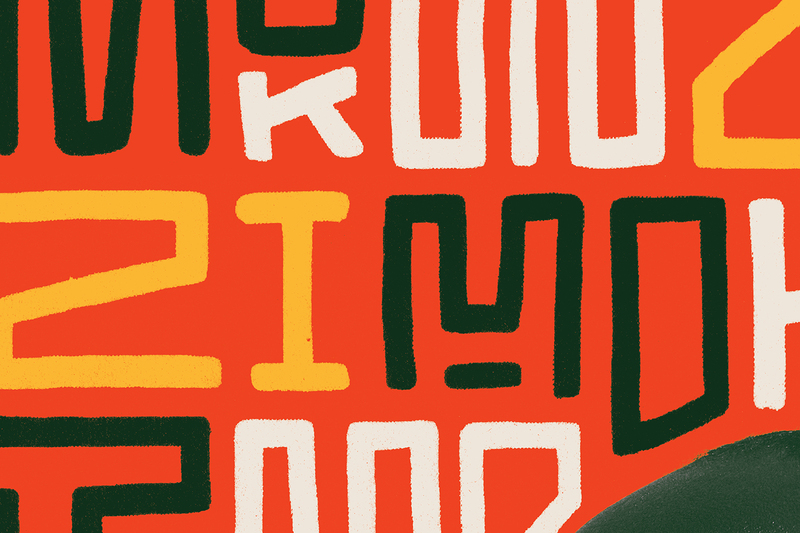 The title "Mokonzi" was used as a main typographic element to create a hand-drawn pattern, that would add an African vibe without the use of traditional graphics.